VisitScotland / Allan Jamieson, all rights reserved. The town is a fascinating place where visitors can soak up the atmosphere of a working fishing port but at the same time its remote location makes is a great place to relax. 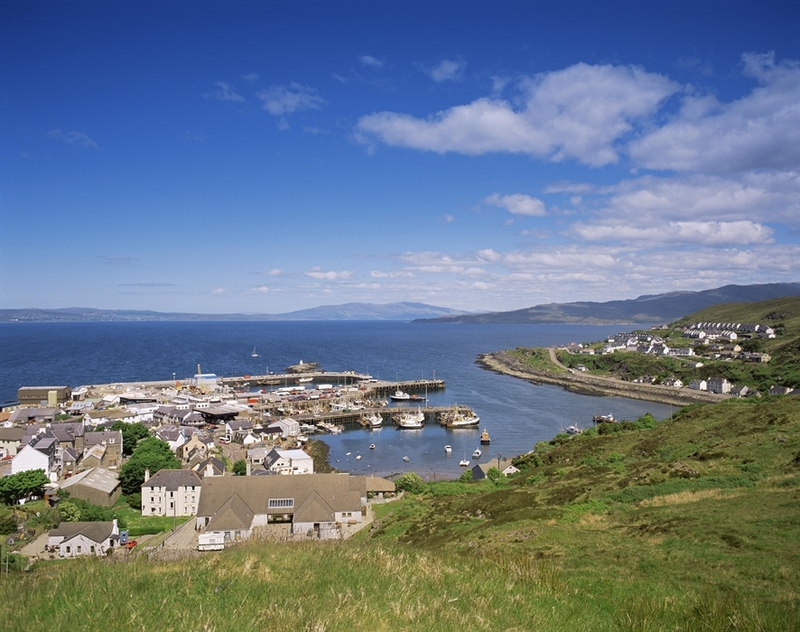 Try the pleasant Mallaig Circuit walk which has great views over Mallaig harbour and across Loch Nevis to Knoydart. 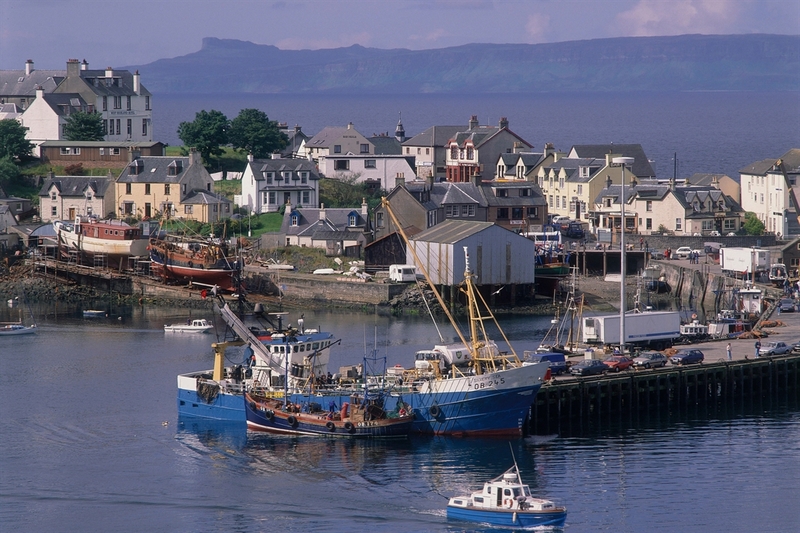 Due to its strategic location, Mallaig is a great base to explore the surrounding area and is a great gateway to the Isle of Skye. Scheduled services connecting Mallaig with the island are operated by the Caledonian MacBrayne ferry and operated throughout the year. The well known Jacobite steam train (featured in the Harry Potter movies) follows the famous Road to the Isles and operates in the summer months from Fort William to Mallaig, calling at Glenfinnan Station where visitors can visit the museum, have a meal in one of the old dining cars and even stay in one of the restored carriages. VisitScotland / Allan Jamieson, all rights reserved. MALLAIG HARBOUR, HIGHLAND VisitScotland / Allan Jamieson, all rights reserved. MALLAIG HARBOUR, HIGHLAND VisitScotland / Ian Rutherford, all rights reserved. 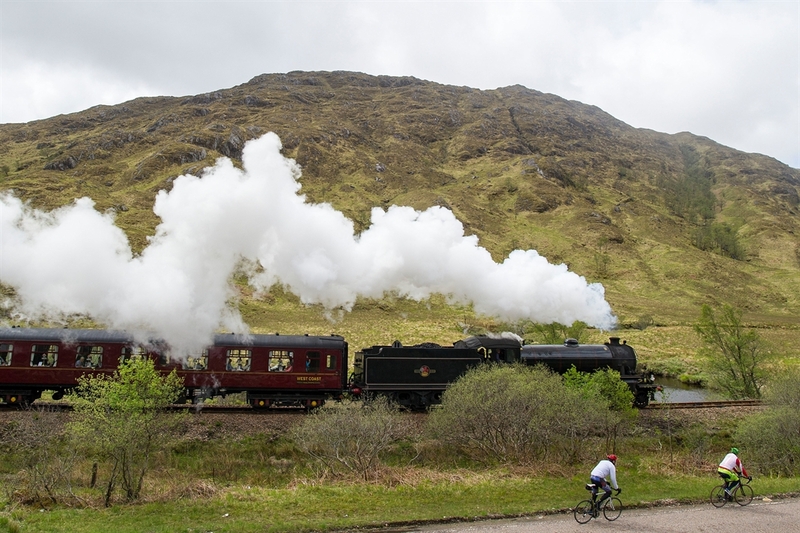 The Jacobite railway steam train travels through stunning countryside en route to Mallaig. VisitScotland / Paul Tomkins, all rights reserved. Looking down to the pier at Mallaig, a busy fishing port and the terminus for the West Highland Railway line.